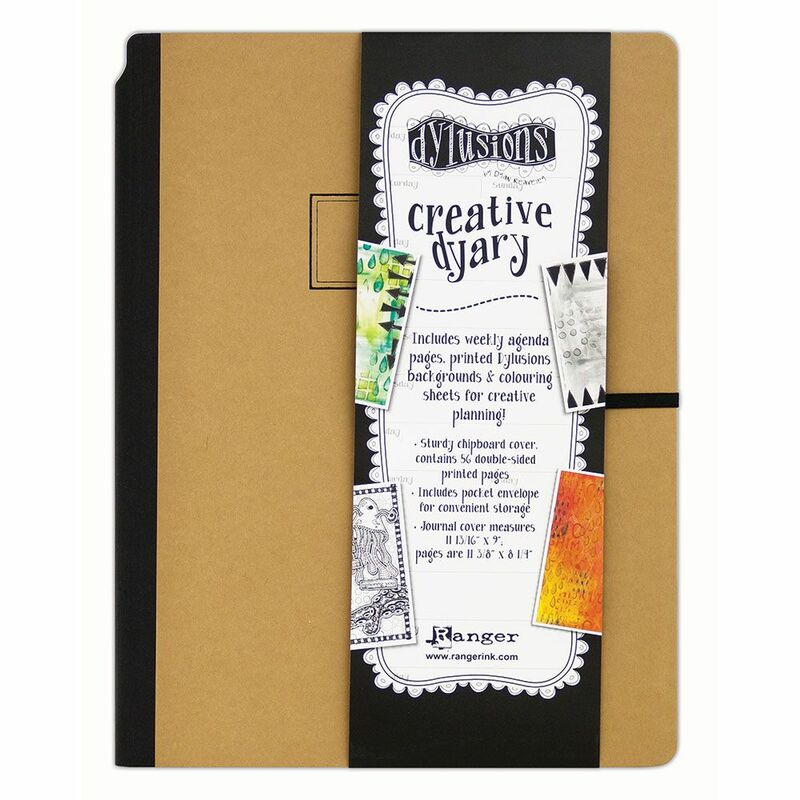 Your favorite mixed media art journaling and planning solution is back featuring new designs! Introducing the new Dylusions Creative Dyary 2, containing all new interior artwork and now available in the new larger format, 11 3/8” x 8 1⁄4”! The Dylusions Creative Dyary includes weekly agenda pages, Dylusions backgrounds, and colouring sheets for on-the- go creativity. Featuring the same great Mixed Media Cardstock found in other Dylusions Creative Journals in a lighter weight. Creative Dyary includes 56 double-sided printed pages.